The BMW RT tourer model has been sitting at the top of the UK sales chart of the touring class for so many years it has almost been taken for granted as staying there. Changes to the bike for 2019 are common across the entire water-cooled boxer range with the R1250GS, GS Adventure, R and RS models all sharing a new, more powerful boxer motor with new ‘ShiftCam’ technology. 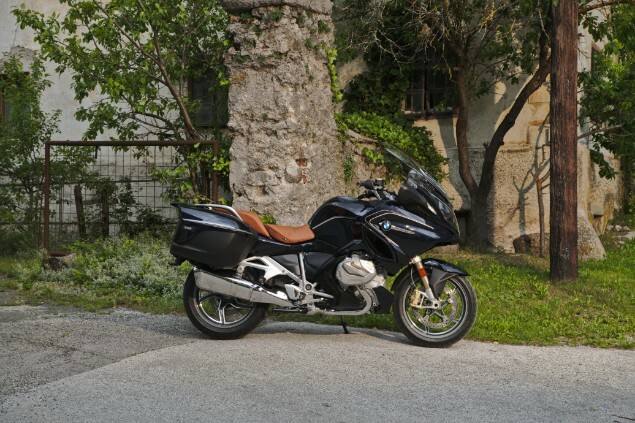 The RT remains one of BMW’s best bikes and is almost universally acclaimed as the best tourer around. That’s mostly due to a combination of durable, flexible, shaft-drive boxer powertrain, peerless comfort, prestige equipment options and surprisingly nimble, pleasing handling. 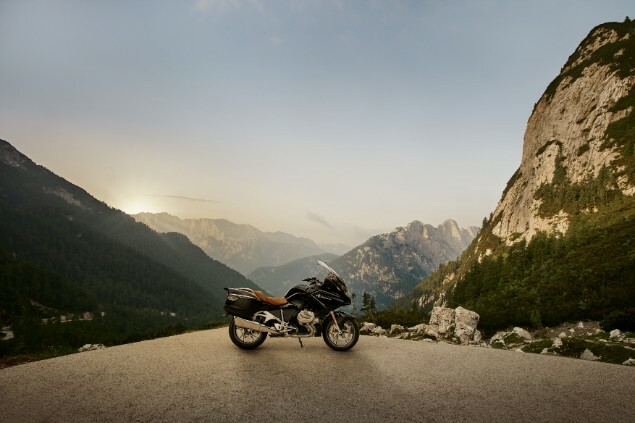 But for 2019 it becomes the R1250RT thanks to the new, larger capacity engine, and although, like the GS Adventure, most of the rest is unchanged, the significant performance boost reinvigorates the whole RT experience. Along with 84 extra ccs, the updated engine has a new, novel variable cam system which, in simple terms, shifts lobe profiles at low and high rpm so achieving the ‘double whammy’ of boosting both low and high rpm performance. Power and torque are up, by 9 per cent and 14 per cent respectively. And while there are a few subtle updates elsewhere (ABS Pro is now standard as is BMW’s ASC stability control while, as with the GS and GSA, front calipers are now by Hayes not Brembo), the improved performance, all the more alluring by a completely seamless delivery, plus enhanced smoothness and a general sense of refinement is enough to make it worth another look. 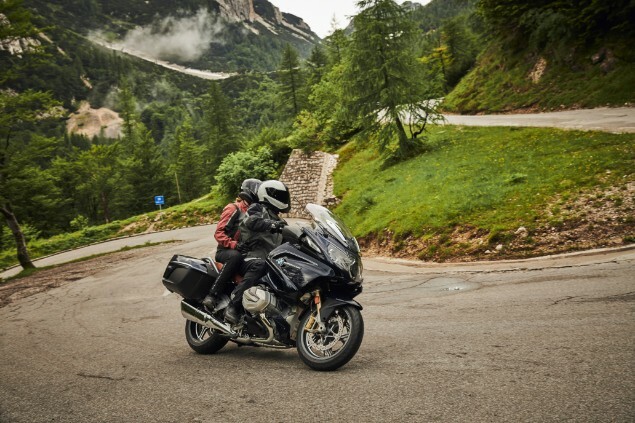 The base version, costing £14,415, has just two engine modes: Rain and Road, but in either the extra grunt makes maneuvering noticeably easier off the throttle. But it’s higher up the range, above 5000rpm on the now slightly old-fashioned-looking analogue tacho, when the ‘full load’ cam lobes take over (although it’s impossible to notice the shift) that an even bigger improvement is discernible. From there the RT drives onwards and upwards almost without end, thrillingly thrumming up to the 9000rpm by which point the old 1200 had become breathless, almost tired. No, it’s not what we’d call ‘ballistic’ but it’s certainly far more brisk, and all the better for being smoother and more refined, too. All of which makes it something of a shame the, admittedly already excellent RT, hasn’t been updated as much elsewhere as, maybe, it should have been. While keyless ignition, more colour options and an audio system push prices over £18K. 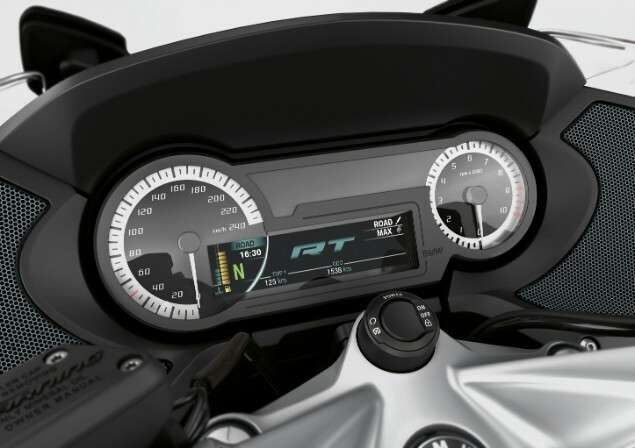 But it’s still a shame the RT hasn’t got the GS’s fancy TFT dash while the loss of the front Brembos, even though the Hayes are perfectly adequate, seems a little miserly.